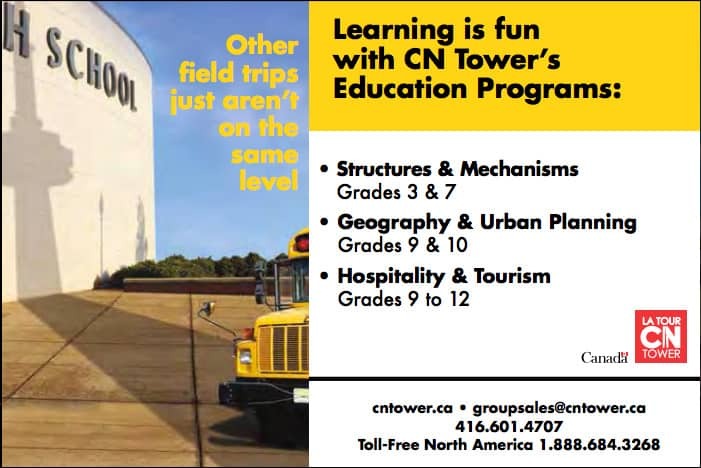 EDUCATION PROGRAMS AT THE CN TOWER DEVELOPED BY TEACHERS FOR TEACHERS! • An educator’s guide with pre and post activities. • Self-guided tour and activities. • Access to the top to enjoy spectacular views from the LookOut and Glass Floor.